I’ve had glasses since I was 14, but this summer was the first time I’ve had to wear my glasses all day since my eyes are so different (-0.25 and -1). I had always said that when that day came, I would get contacts. It took a few months, but now I have them! 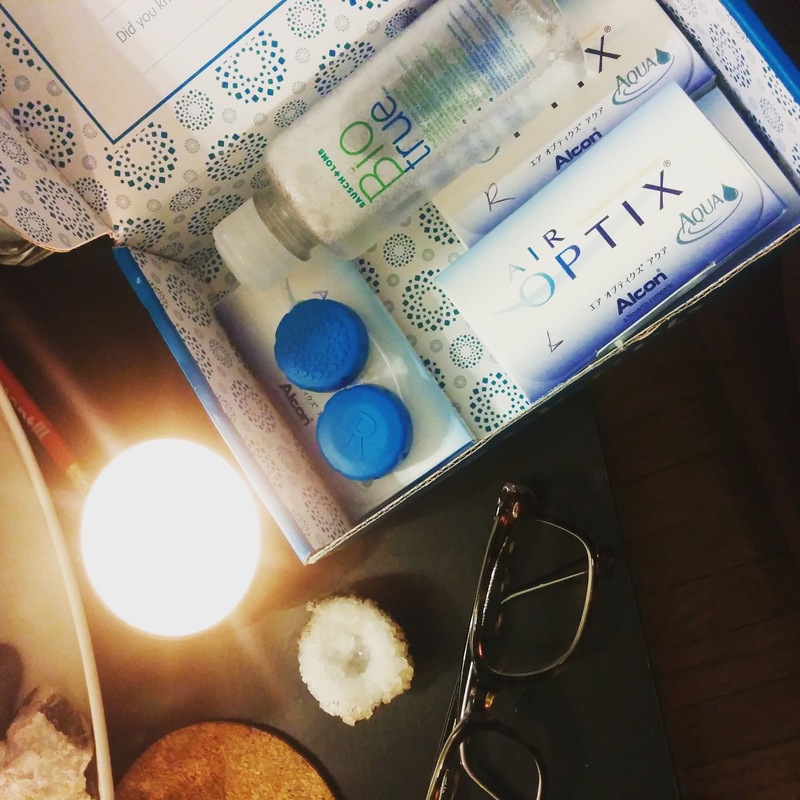 I ordered the monthly Air Optix Aquas from Clearly (they always have discounts available). I ordered them Monday evening, and got them Friday afternoon. I watched several videos about how to put them in, and after half an hour, had them both in. MAN that was tricky. Even worse? Taking them out. This morning they went in pretty quickly, so we’ll see how fast I can get them out after the GoodLife Toronto Christmas party.